The RAAF has hit a crucial milestone in the development of its new $16 billion fighter jet fleet, with the successful mid-air refuelling of a US Air Force F-35A Joint Strike Fighter. 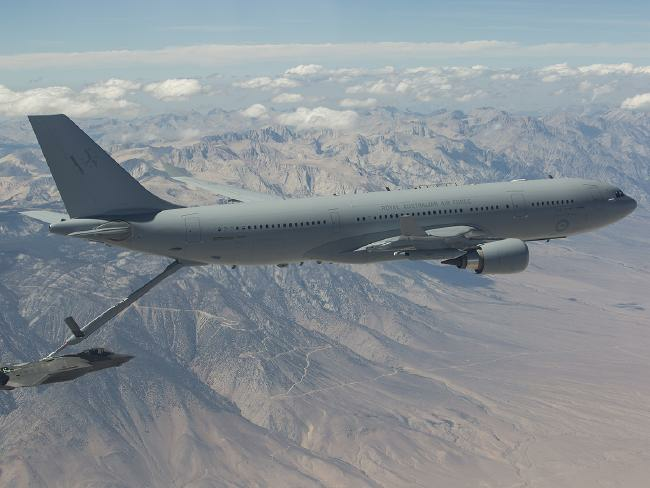 One of the Air Force’s five KC-30A multi-role tanker transport planes conducted 59 successful hook-ups with the F-35A at Edwards air force Base in California, including five where about 20,000 kgs of fuel was transferred during the four-hour-long mission. The refuelling operation used the KC-30A’s controversial tail mounted boom system that generated major headaches during the development phase.